Several novel T cell-engaging therapies — including chimeric antigen receptor-modified T-cells (CART) and blinatumomab, a novel bispecific T-cell engaging (BiTE) single-chain antibody — have shown promise in the treatment refractory pediatric malignancies. However, the growing clinical use of both treatments has revealed a set of unique notable toxicities. 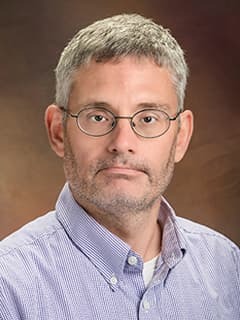 Researchers at the Center for Childhood Cancer Research (CCCR), led by David T. Teachey, MD, have observed that a subset of pediatric patients treated with CART or BiTE experience a so-called cytokine release syndrome (CRS). CRS resembles a condition known as secondary hemophagocytic lymphohistiocytosis (HLH). Secondary HLH, also known as macrophage activation syndrome (MAS), is a rare disorder characterized by inappropriate immune system activation and excessive cytokine release. Infection, malignancies or autoimmune disease are thought to trigger secondary HLH. Clinical studies conducted by physician scientists at the CCCR have demonstrated that administration of tocilizumab — a recombinant humanized anti-IL6 receptor monoclonal antibody that interferes with secretion of the cytokine IL6 — can be an effective treatment for pediatric patients who develop CRS after CART or BiTE therapy. Currently, all pediatric patients with ALL who receive CAR T-cell therapy at The Children’s Hospital of Philadelphia are followed very closely for development of secondary HLH. Additional studies underway are looking at the genetic relationship between CRS and secondary HLH development. The aim is to develop molecular diagnostic tools to determine which pediatric ALL patients may be at greater risk for developing these syndromes after CAR T-cell therapy.